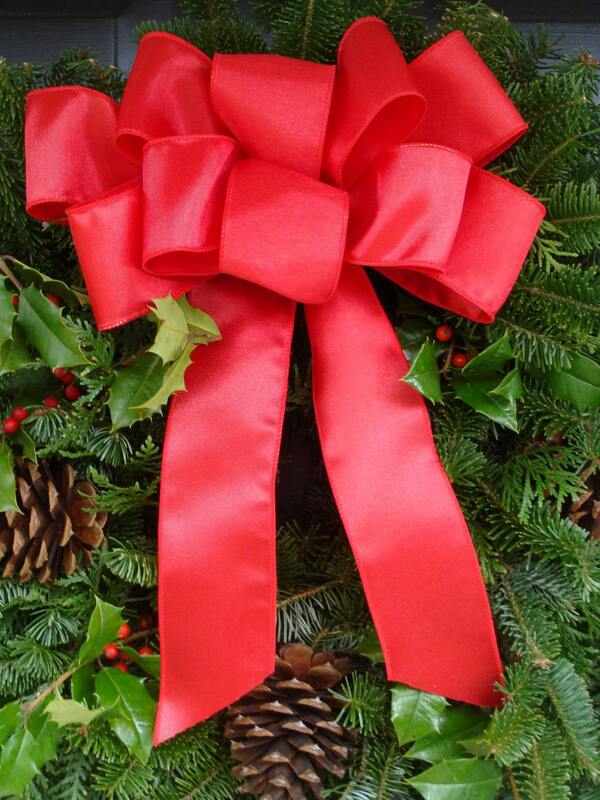 Custom Bow- Bow Decoration- Wreath Bow- Pew Bow- 10 inches wide with 12 inch tails. ***This bow is available in wired waterproof ribbon: red satin, red velvet, burgandy velvet, and red velvet with gold trim (shown)*** Other ribbon colors are not guaranteed to be weatherproof. This beautiful satin or burlap bow will add a touch of color to any wreath in my shop. It is weatherproof, 2 1/2 inches thick and wired so it will be secure and stay in place. Gorgeous! This listing if for the bow only. 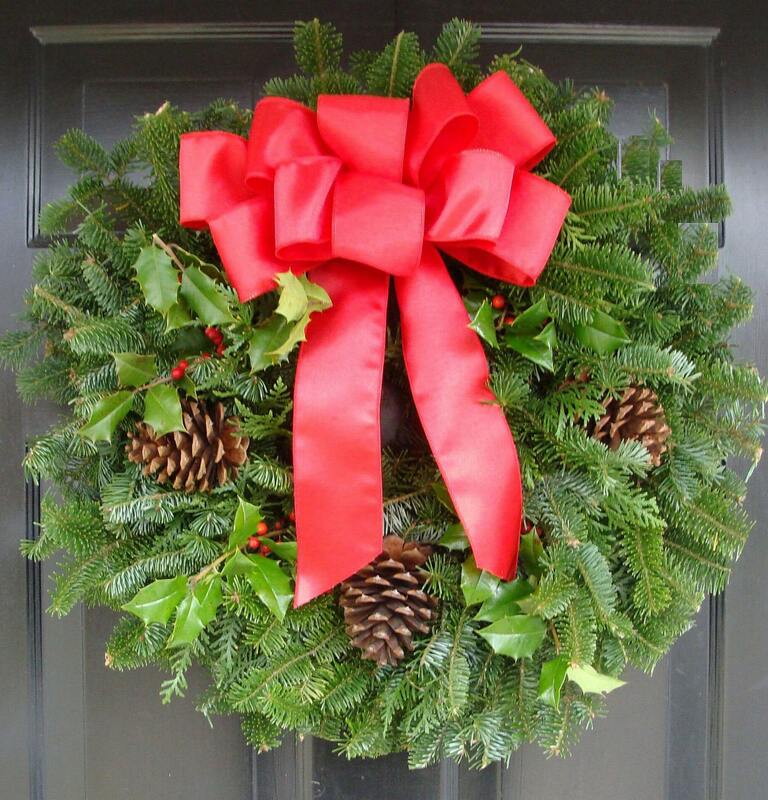 Wreath not included. *** If you would like to just purchase the ribbon please convo me for a yard quote! 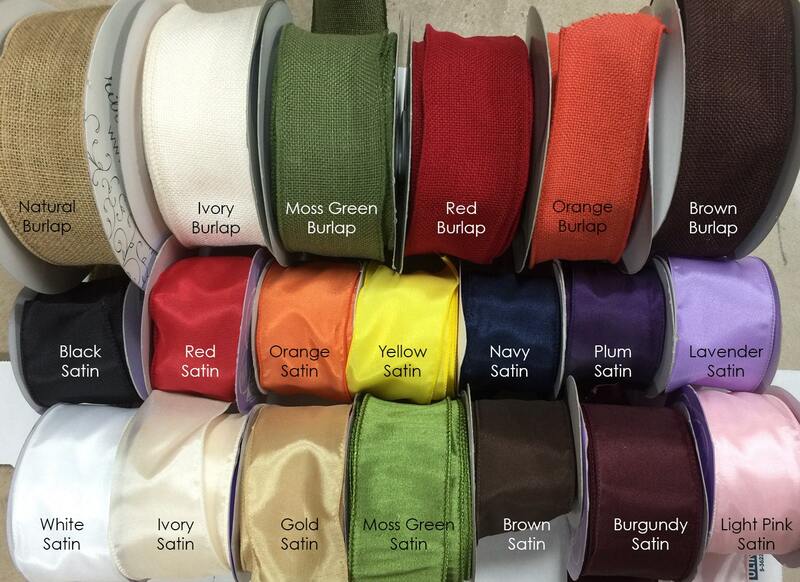 I also have many other ribbon options to choose from to personalize and match your decor! Just ask for color themes (red, burgandy, etc) and I can send you option! If you need multiple bows of any style please convo me for quantity discounts and separate shipping prices. Bows can be added anywhere to dress up a indoor or outdoor decoration. The possiblities are endless. 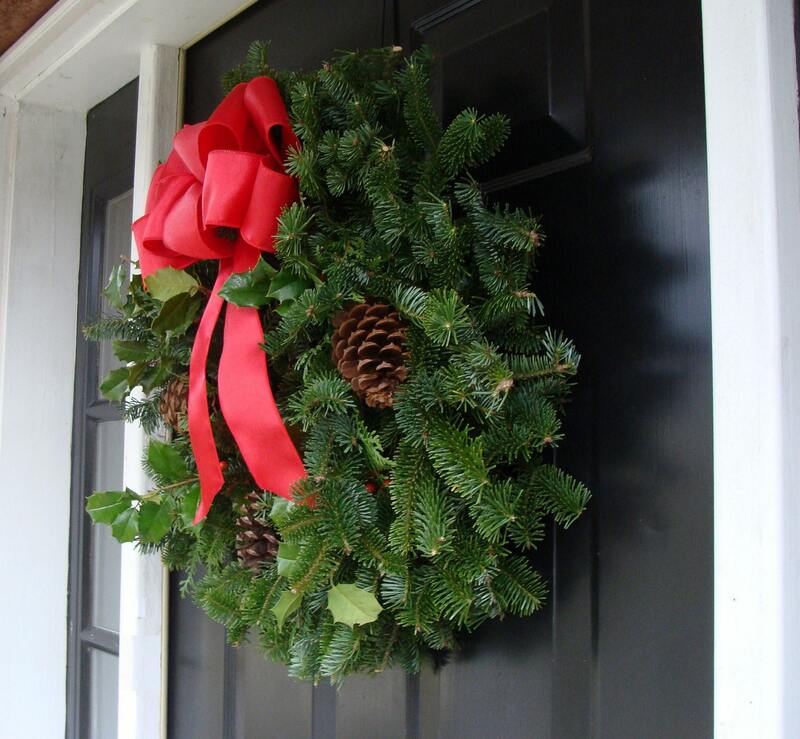 See my shop: www.elegantwreath.etsy.com for my selection of wreaths for all seasons! Don't ever buy a bow from anyone else! Don't try to make one better yourself...you can't, trust me. Professional, fast, easy business transaction. Everything as promised! Just order them. I purchased 3 items and I am very pleased with all, nice packaging and quick ship.